The more you look, the more you find. The C4 Cactus has innovation, style and function in one striking, modern car. It is bold and original, combining incredible functionality with world first exclusive features. 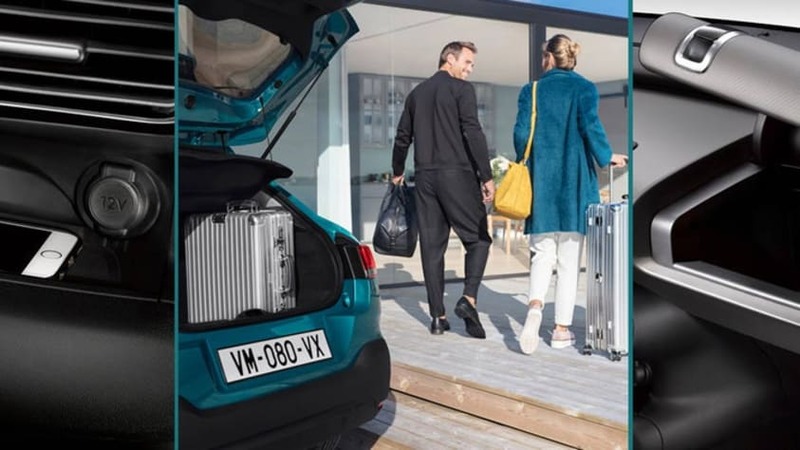 The New C4 Cactus delivers a unique and modern style inside and out, combined with cutting edge technology to deliver a hatchback that not only looks great on the road, but feels great too. New C4 Cactus retains its unique style making it instantly recognisable, whilst bringing Citroen's latest styling to the model. The New C4 Cactus bring a breath of fresh air to the hatchback segment, offering a modern, unique and dynamic styling. The new signature LED running lights now flow into upper grill which integrates the Citroen logo extenuating the C4 Cactus' width, whilst the split headlights give the new C4 Cactus an SUV style. 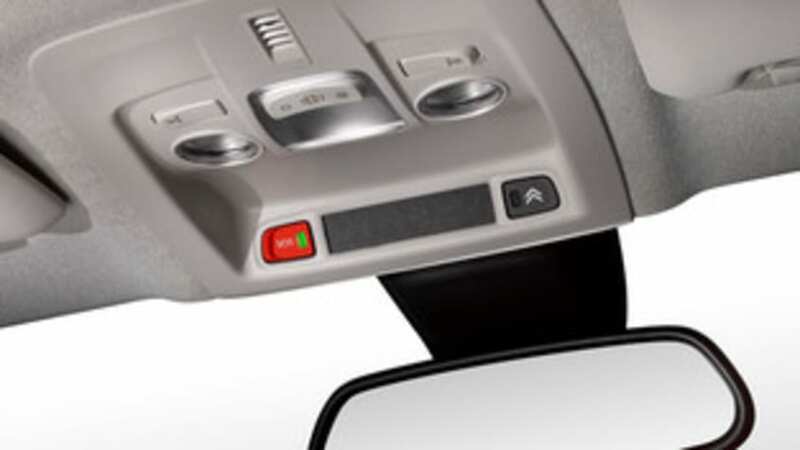 The reduced Airbumps now located at the bottom of the doors offer the practicalities and protection enjoyed by so many owners already, whilst providing a sleeker yet still recognisable style. On the rear of the New C4 Cactus, the broad new 3D rear lights wrap around the side of the Cactus giving a more dynamic style to the vehicle. 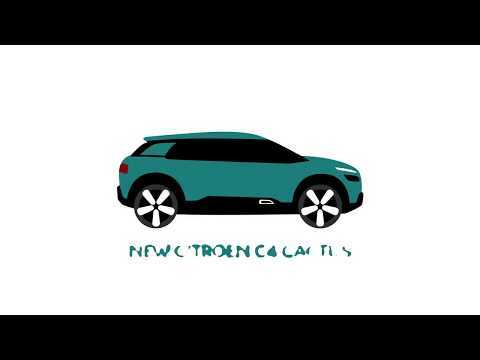 Offering 9 body colours and 4 trendy colour packs, the New C4 Cactus has 31 exterior colour combinations. The colours packs offer a great contract to the body colour by skilfully highlighting the Airbumps and the front fog light surround. The four colour packs are: Gloss Black, Silver Chrome, Gloss White and Deep Red. The alloy wheels are also available in different colours to give you even more options! The New C4 Cactus is as customisable on the inside as it is on the outside, offering 4 unique and distinctive ambiances to suit every taste. The interior styling is underpinned by the superior comfort, ergonomics and quality throughout, it's the most comfortable car we've ever sat in, and we're confident it will be the most comfortable car you've ever sat in too! Wild grey ambiance is full of vitality, yet refined too. The grey strip on the back of the seats is mirrored around the interior creating a modern contrasting interior. Metropolitan red emphasises the feel of airy space through design clarity and tactile materials.The red accents are splashed around the interior delivering a luxurious feel. Hype grey uses half leather to create a premium and elegant feel throughout, offering half black grain leather seats and grey dashboard top. Hype Red Ambiance is the ultimate expression of style and substance, with seats finished in Beige Nappa Leather and beige cloth combined with a contrasting strip of Alcantara across the upper seat back. 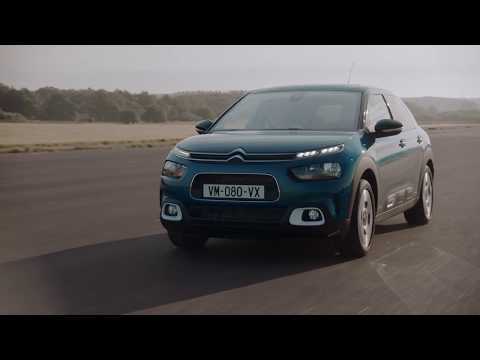 The New C4 Cactus features Citroen's New Advanced Comfort Technology giving one of the most comfortable and smooth drives you'll have ever experienced. We're calling it the flying carpet effect. The flying carpet effect is achieved using suspension with progressive hydraulic cushions, a European first and exclusive to the New C4 Cactus. These hydraulic cushions filter and absorb the imperfection in the roads surface to make the ride truly the smoothest you'd have experienced. All the ambiance interiors also feature high density foam in the seats centre and think textured foam on the seats surface, to provide an unrivalled level of comfort and support - you'll feel like your sitting on your living room couch. Small changes have also been made to the interior to provide an even more ergonomic space, with added features and a more luxurious feel! 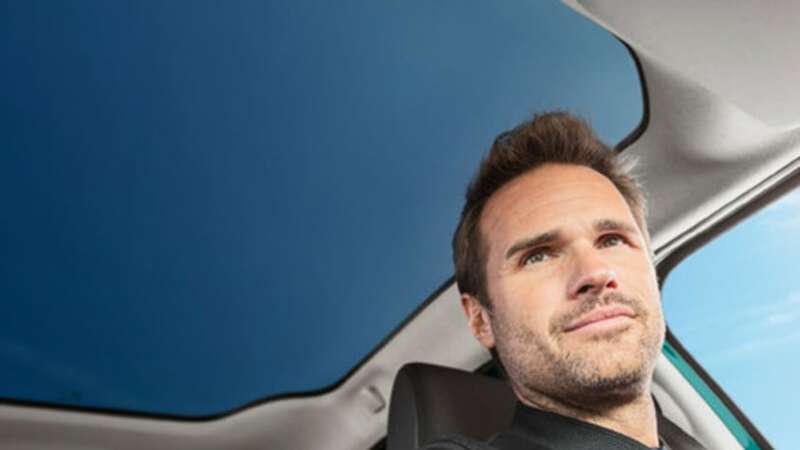 Keeping you connected and safe on the road is key in any modern car, New C4 Cactus does this through its clever use of technology both inside and out. 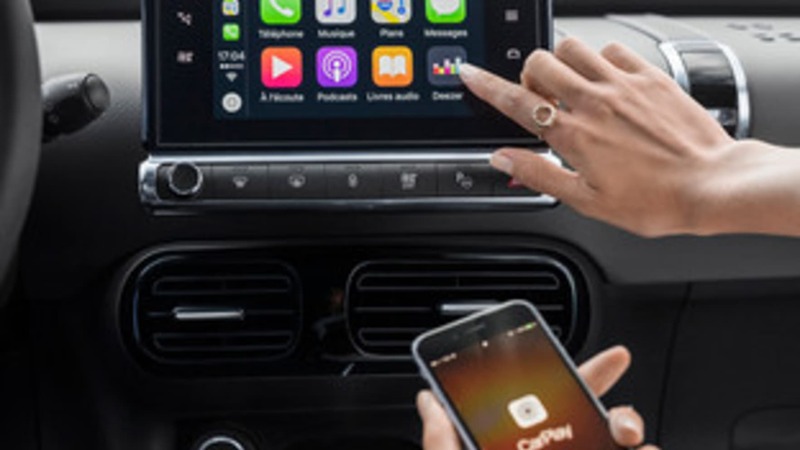 The 7 inch touchscreen uses Mirror Link, Apple CarPlay and Android Auto ​to project your phones screen and apps on the display. You can then access your compatible app​s via the large touchscreen - making putting your favourite song on a doddle! 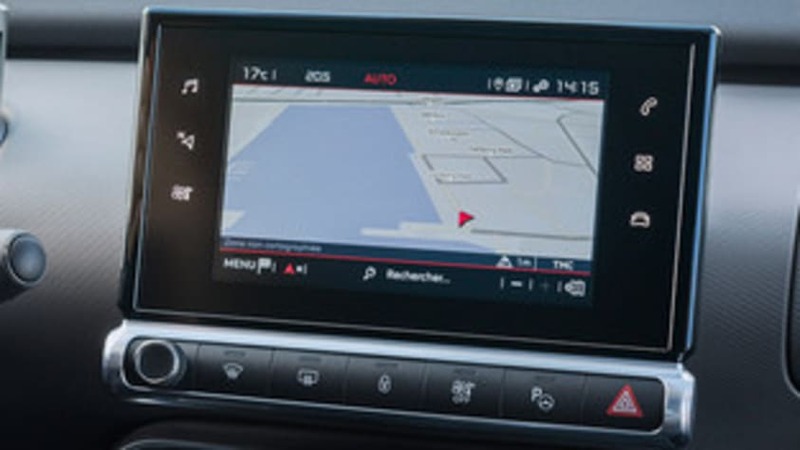 Pull up the Citroen Connect Nav on the 7 inch touchscreen display and you'll not only get turn by turn navigation, but real time updates including TomTom traffic, fuel pricing, parking availability and geolocalisation - as well as the added option for speed camera alerts. The new PureTech petrol engines and BlueHDi diesel engines deliver an enhanced driving experience, with improved acceleration, pick-up and driving pleasure. All our engines comply with the Euro6 standards on emission whilst bringing you a more economical and refined engines.